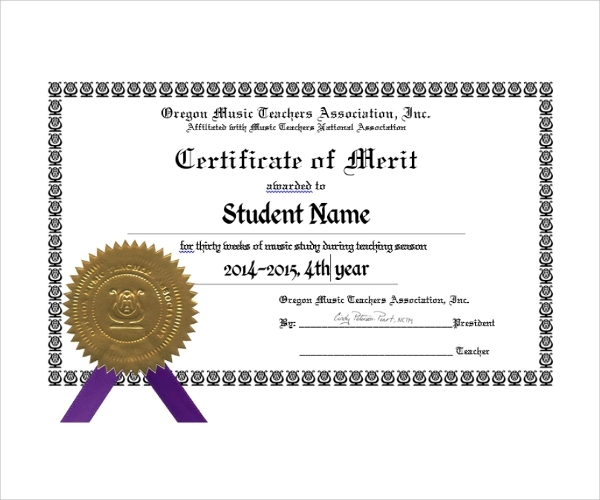 Academic achievements are duly acknowledged with an authorized merit certificate. It shows the excellence in studies achieved by a student. It can be awarded at the end of every academic/term year along with a proficiency prize or can be awarded as a part of course completion with high marks. It can be the source of good motivation for students/members to further excel in their studies and attain better academic qualifications. It is truly justice in its prime form to the many budding and aspiring professionals, who have burned the midnight oil to reach such a successful position. 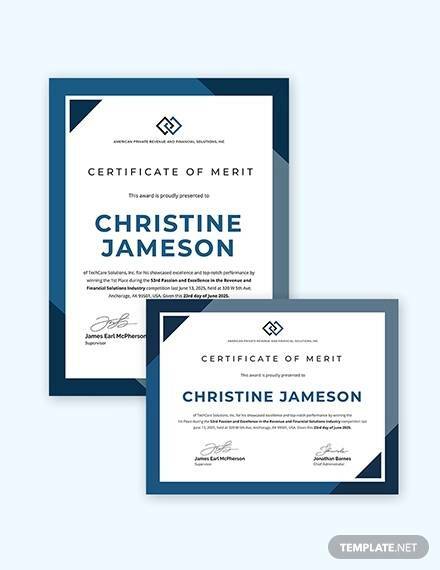 To quench the curiosity of the various templates on offer, we shall discuss the different types of merit certificate templates. 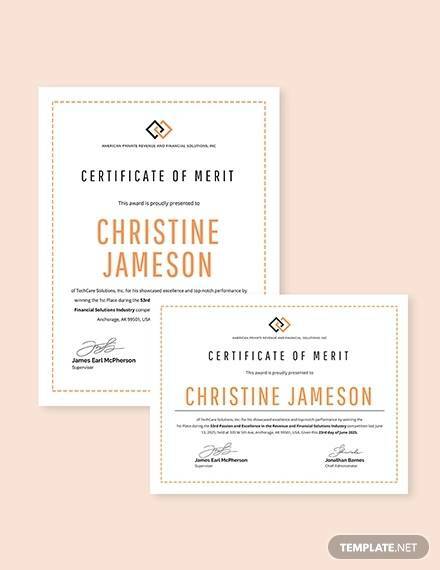 You may check Volunteer Certificate Templates. 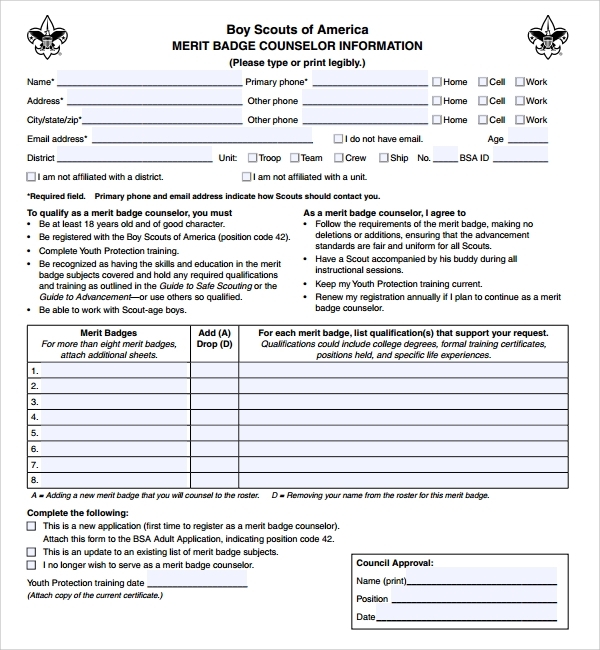 Merit badges generally refers to those awarded to ‘Boy Scouts’ based on their qualification in each discipline. They are issued to students completing tasks under fields like camping, cooking, communications, swimming, hiking, fishing, music. The Boy Scout certificates are issued by the Boy Scouts of America. 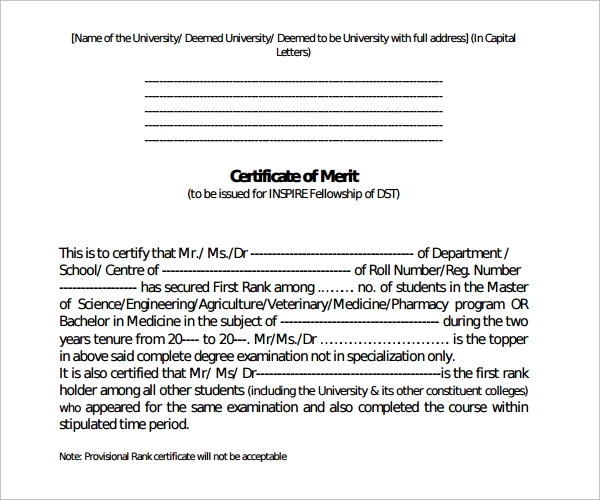 The certificate template begins with the assigning authority name followed by fields to fill in name of the participant, duration of activity and the discipline in which the meritorious achievement has been showcased. The lower half of the template has stamps and logos of the awarding authorities and initials of the authorized signatories. 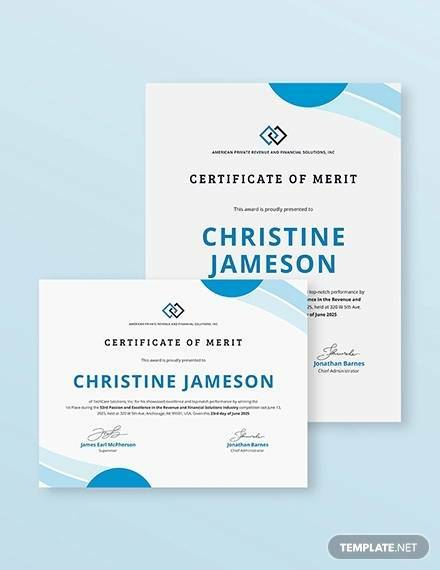 Institutions with a grade point marking system offer certificates to outstanding performers. An ‘Honor Roll’ certificate is awarded to students with a GPA (Grade Point Average) of 3.5 or above (in a 4 point GPA system) and a ‘Merit Roll’ certificate is awarded to students scoring a GPA in the range of 3 – 3.5. Merit roll awardees are given special preference during admission processes and are also eligible for scholarship programs. 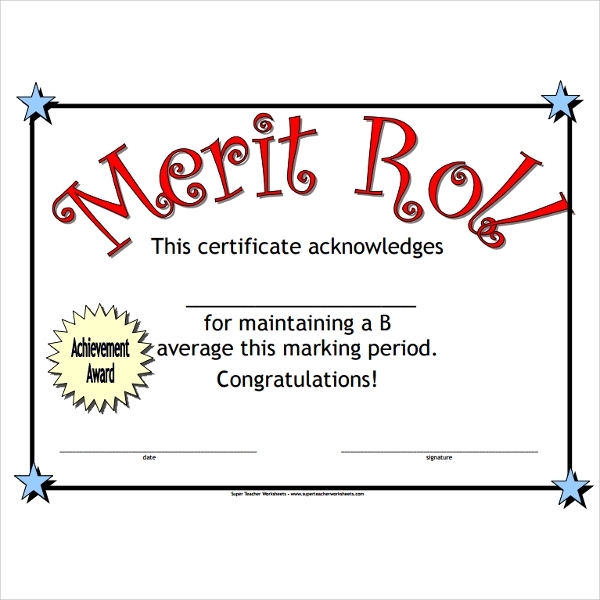 A merit roll certificate template can include all the academic achievements the certifying authority wishes to evaluate (usually such a detailed certificate is given to students pursuing graduate/post graduate courses) or it can be of simple design (meant for elementary/high school students). 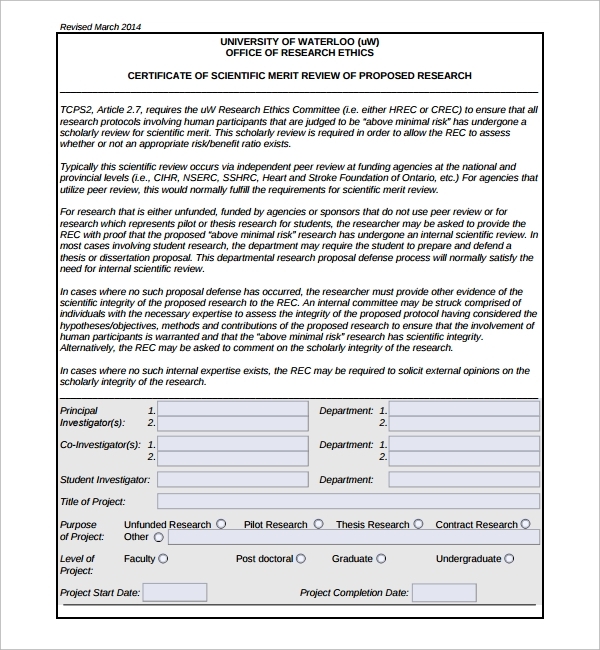 Templates regarding such academic certificates differ slightly from each other. 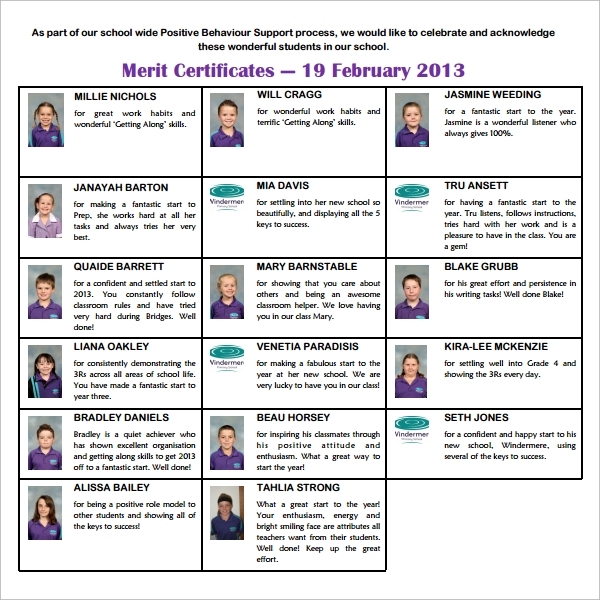 School merit certificates are more of an official document. There are several websites that offer a wide variety of templates to choose from. It largely refers to a course completion certificate which is awarded to the students who successfully complete their course by passing a qualifying examination scoring a greater percentage of marks. The certificate is issued by the education board (for example Central Board of Secondary Education) by which the institution is affiliated. These templates have a more detailed format. As they are of a greater value and is one of the documents required to initiate a professional career, the authorized signatories will be of a higher rank. The subjects completed by the student will be mentioned (and in some cases marks awarded as well). Also included will be a field to add a unique ID. It is the next level certificate that is issued to people showing excellence at the district level. 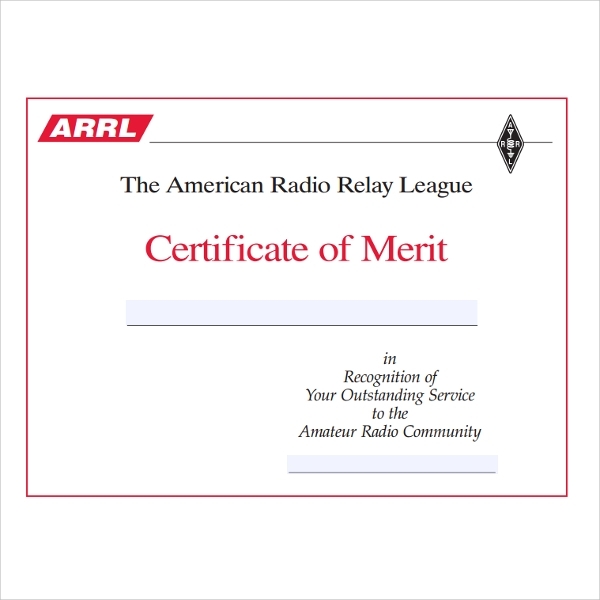 It is a higher version of a merit badge certificate. 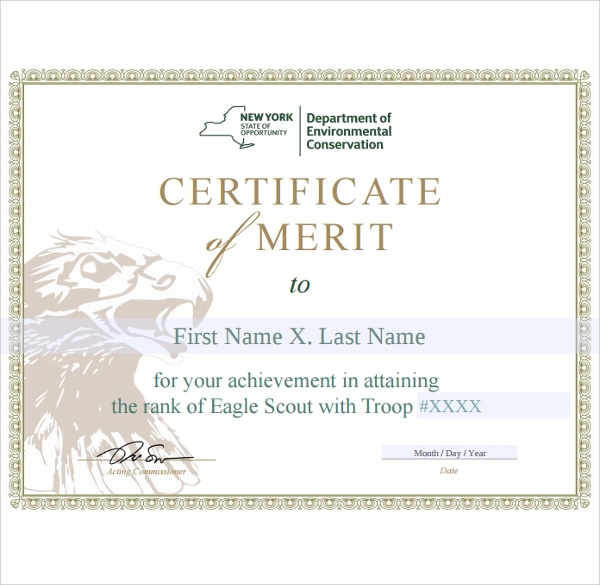 A person is required to be a Scouter in order to be eligible to receive such a certificate. Also the council must find the actions of the candidate to be of a worthy stature at the district level. 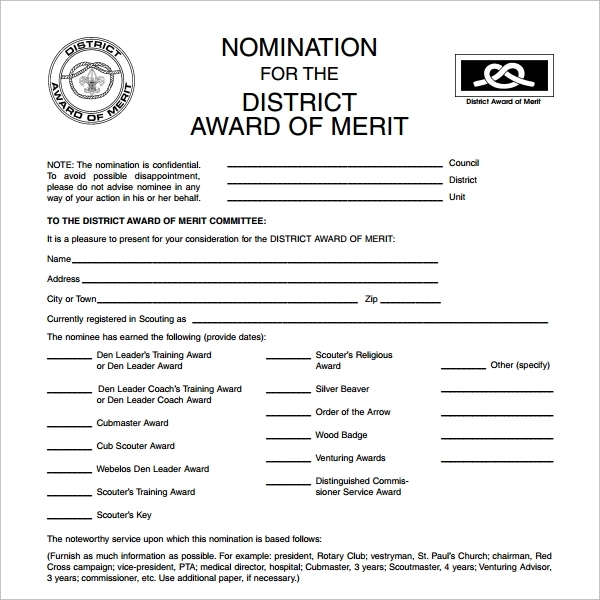 Moreover, consideration must be given to the scouting position of the nominated person. An evaluation of the behavior of the nominee to the district and council is done. 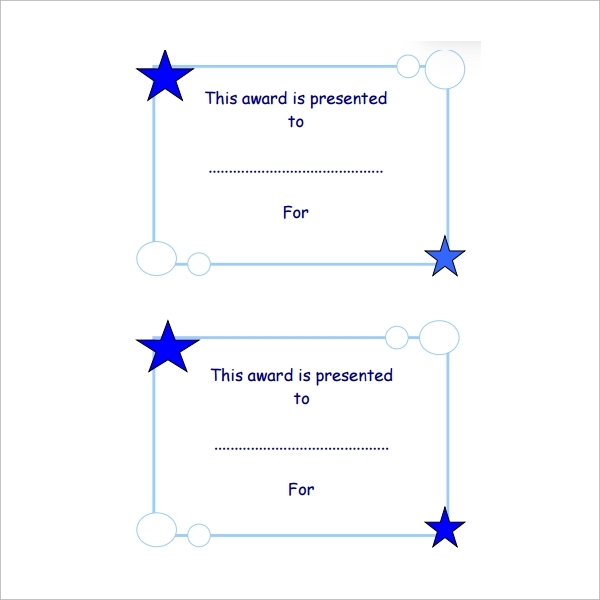 These certificates are not awarded posthumously. 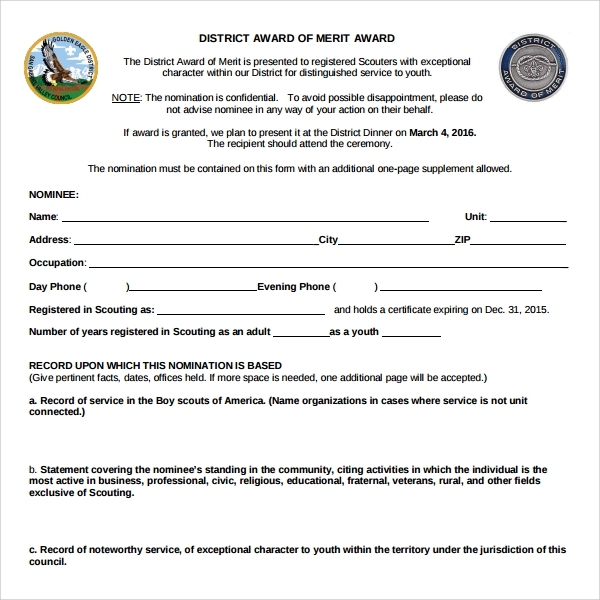 The template design is very simple and includes the key line “awarded for the outstanding services to the district and their youth”. A letterhead certificate style with all the certifying logos is an essential requirement. Excellence in a field is in direct relation to talent and hard work. 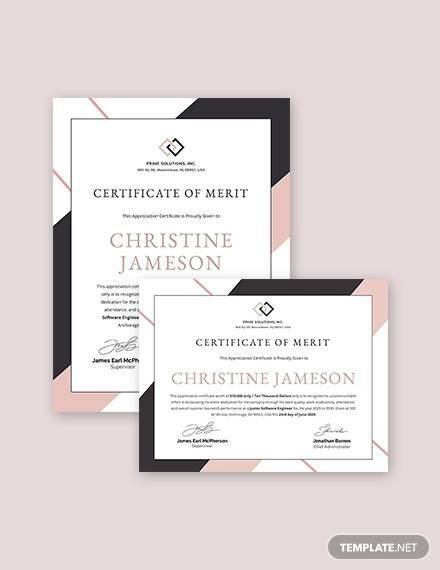 A stand out achievements are always extraordinary feats that need to be acknowledged and what better way than to do so by awarding a certificate of merit. As discussed earlier, it provides the awardees with the impetus to carry on forward with their excellent talents and make better individuals out of them. Overall it is a win-win process. 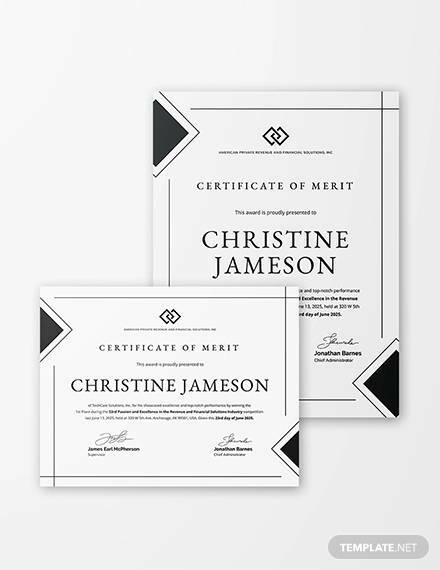 Merit certificates have huge value in terms of academic and career progress. Recruiters or educational institution administrators look for people with the extra skill so as to boost their output and achievements. These certificates also help in career guidance programs. It is a direct note of credibility of the person as well. We require these certificates issued by respective authorities as they ensure us a place in the world. It is one way of staying ahead of the competition in the ever changing rat race of life.